The airline has called the chatbot, Juliet, and she / it is available in English and French through Facebook Messenger, we're told should enables travellers to easily manage many aspects of their trip including destination inspiration and discovery, flight booking and day-of travel information. Juliet, Juliet, wherefore art thou? WestJet decided to call this new artificial intelligence chatbot Juliet after one of WestJet's original aircraft, and is designed to use reinforcement learning allowing the chatbot to learn the way humans do, with a combination of instruction, examples, and experience, leading to better responses over time. WestJet will continue to add more functionality, features and capabilities to Juliet including availability on different platforms and voice interaction. Read on for our experiences. We tried out Juliet today, with mixed success, first of all there is the rapid bombardment of the legal messages, which whilst necessary are a little off putting. Then we were given a few options to select from, including Customer Care, Book a Flight, Low Fare Finder and so on. At this point it seemed a little less like a chatbot and more a basic but pretty website. Of the options available one was marked as FAQ, so we tried that, we wanted to ask home many planes WestJet had. However, no luck in finding that out, there are only a few questions you can ask about. Juliet then asked, 'Last question...it's Saturday night! What are you doing for fun? After we selected what we like to do, Juliet came up with some key destination ideas. These ideas varied from Palm Springs, Huatulco in Mexico to Dublin in Ireland - So perhaps only one or two really fitted in with the 'City Getaway' we originally selected, but we did get some lovely pictures. Whilst it was nice browsing the various destinations offered in the times we tried selecting different things, it wasn't really a chatbot experience, more just an interactive website. 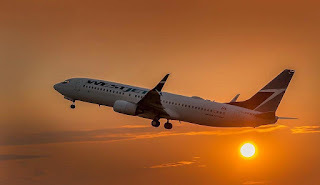 However, this first foray into the world of AI for WestJet is pleasant enough, easy to navigate, although basic, we'd have loved to be able to ask Juliet real questions and get real answers, rather than the limited few that have been programmed, but hey it is early days. Booking flights with Juliet? To be honest, we'd feel much more confident and comfortable using the proper website to book flights.